Home Music Early Childhood Music How Can Music Help My Preemie? During my time at Florida State University I had the opportunity to learn and train for the NICU Music Therapist credential. I was able to see how we use music therapy in the NICU for the tiniest, most vulnerable babies. I was fascinated and thrilled at the power of music to help these little ones during the fight for growth, development, and even survival. 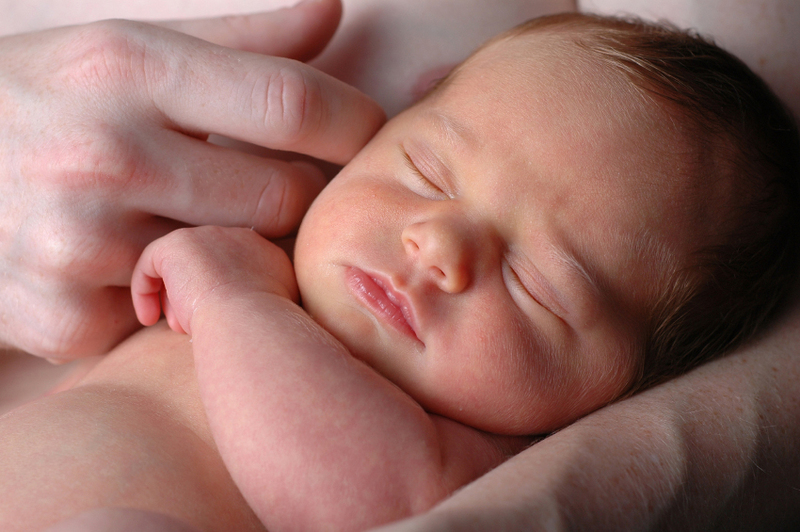 A few of the techniques we use are Multimodal Stimulation, Parent education and support, and the use of the Pacifier Activated Lullaby. For a few years I had the opportunity to join The Children’s Healing Institute to offer a NICU support group for parents at a local hospital. Parents who have an infant in the NICU often deal with a multitude of feelings including anxiety, fear, disappointment, and worry. Mothers have a hard time bonding with their infant due to the barrier of an isolette and a maze of cords, and may feel nervous even trying to hold their baby. Many mothers have the added frustration of trying to pump milk for their infant without having their infant with them. In our groups we are able to discuss their feelings, make sure that they are getting the supper that they need, and offer ideas for ways to enhance their time in the NICU. As a board certified music therapist with the NICU Music Therapist credential, I am able to educate parents on the benefits of music therapy for their preemie, and even how music can help them deal with their feelings and stress. 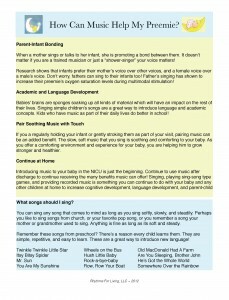 I complied a list of ways that music can help preemies and their parents while in the NICU and after discharge. I thought I would share it HERE with you. If you know of any parent who is going through the difficult situation of being in the NICU, please share this info with them and have them check out my resources for NICU parents on my website at rhythmsforliving.com. 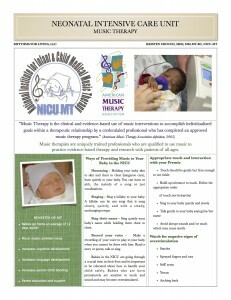 If you would like more information on the NICU Music Therapy credential or how we use music therapy in the NICU please click HERE.